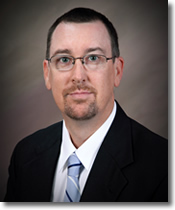 Kyle G. Waggoner is a licensed Texas Attorney and Certified Public Accountant (CPA). With office locations in Lindale and Mineola, he is able to serve clients throughout Smith County and Wood County, as well as neighboring Texas counties. Mr. Waggoner has built his law practice to handle a wide range of practice areas, while focusing on estate planning, probate, guardianship, business and real estate law. Mr. Waggoner is a graduate of Mineola High School and received a Bachelors of Business Administration in Accounting from the University of Texas at Tyler in 1992. Working two years in public accounting, he gained experience in taxation and financial accounting and reporting. Mr. Waggoner had the unique opportunity to attend law school at Regent University in Virginia Beach, Virginia, and received his Juris Doctor degree in 1997. He was admitted to the State Bar of Texas the same year. As a CPA and attorney, Mr. Waggoner continued to live and work in the Dallas Metroplex for three additional years, gaining more experience in the areas of tax law and complex estate planning. In 2000, he entered private practice in East Texas. During this time, he served as City Attorney for both the cities of Mineola and Lindale, and currently serves as Municipal Court Judge of the City of Mineola. As a result of Mr. Waggoner’s commitment to continued professional education, he has been certified as Fellow into the College of the State Bar of Texas and maintains his membership in the Real Estate, Probate and Trust Law Section of the State Bar of Texas, the Wood County Bar Association and the Smith County Bar Association. He is a Past President of the Wood County Bar Association, Past President of the Rotary Club of Mineola, and Past Director of the Mineola Chamber of Commerce. Kyle and Rita have been blessed with five children and all available personal time is spent with family activities, including youth baseball, biking, hiking and backyard fun.